The Roaring Nineties, Joseph E. Stiglitz. Joseph E. Stiglitz (1) served and later chaired the Council of Economic Advisers (CEA) during the Clinton Administration from 1993 to 1997. 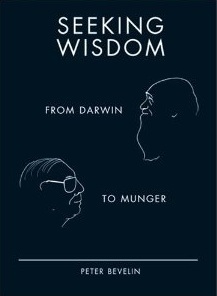 He was awarded the John Bates Clark Medal (1979) and he Nobel Prize in Economics (2001). After leaving the CEA he moved to the World Bank. He taught in the past at Stanford and now teaches in Columbia University. He also served at the OECD and several other positions to which he has been appointed throughout his career. 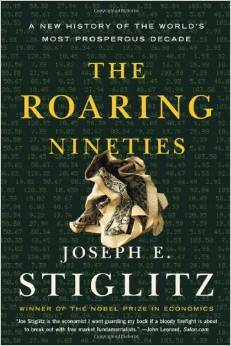 Stiglitz wrote “The Roaring Nineties” in 2003 to offer an insider’s view of economic policy making and the economic boom and bust of the nineties. I loved the book. I use to make some annotations and marks in the books I read. I counted the ones I made reading this book: 52. Stiglitz is frank in admitting that all the focus that the Clinton administration had at the beginning of the term in passing laws to improve the living of the disfavored ones was suddenly put aside due to the mantra of deficit reduction. He openly regrets it several times throughout the book and offers some criticism on the administration he took part in and others before and after. Especially Reagan’s and Bush II’s. The risk then became an issue, which is still lasting 10 years later. This comes just in the preface of the book. Stiglitz specialization is information asymmetry. He gives some examples of such asymmetry in different passages of the book when analyzing errors, incentives, etc., in accounting, auditing, special interest agendas. I strongly recommend the reading of this book (about 380 pages). (1) You may follow him in Twitter.